Mathnasium's First Steps program for early childhood learners enhances their natural interest in mathematics and help develop Number Sense by teaching students foundational math skills. PreK and Kindergarten students welcome !! Small class Size (2 to 4 students to 1 Instructor). $99/Month. 1-hour session/ Once a week. See how we can help your little one get the number sense and grow their love of numbers !!! The best way to see if we are a good fit for your child’s needs is to visit our center, meet the instructors and try out our program. My child already excels in math. Will Mathnasium address their needs? Absolutely. 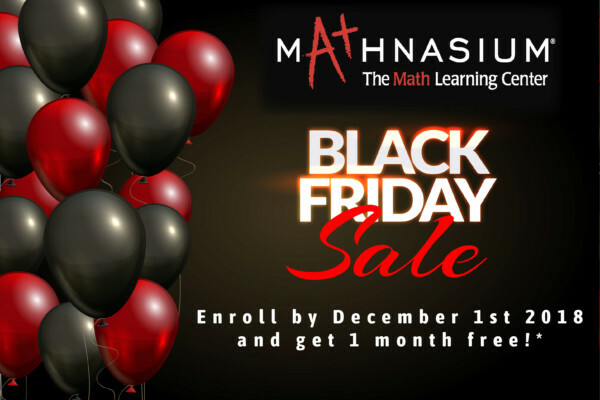 Since Mathnasium is customized to the needs of each individual student, we can help advanced students stay engaged and stimulated by introducing them to more challenging math topics. More importantly, we can also help your child to develop even stronger numeric fluency and critical thinking skills, which are essential for continued success in math. Why do children struggle with math? Have you ever watched a foreign movie without subtitles? It can be confusing and frustrating because you don't understand the language! If your child is missing key math skills, this is exactly how they feel in math class! In school, they treat kids the same because it is assumed that all kids learn the same way and at the same rate. The teachers are expected to cover vast amounts of material in a short period of time. If your child doesn't get a chance to master a skill for whatever reason – there is no time to give the necessary time and attention that they need. Teachers must move quickly to stay “on schedule". As a result, we see too many kids fall behind in math. What happens next? The class moves on! Here come multiplication facts, fractions, percentages, decimals, mixed numbers, exponents, ratios, x=?, divisibility rules, algebra, geometry, equations. It never slows down so your child can catch up! They feel overwhelmed, embarrassed, and all alone! They begin to expect and accept failure as the "new normal" and think "I'm just not good in math!". If they lose confidence in themselves we typically see all of their other grades begin to suffer. Is it any wonder why you have to fight with them to do their homework? With many kids, it is easier for them to fight you and not do the work than to put the effort into it only to see failure again. After a while, it just doesn't seem worth the effort for them. 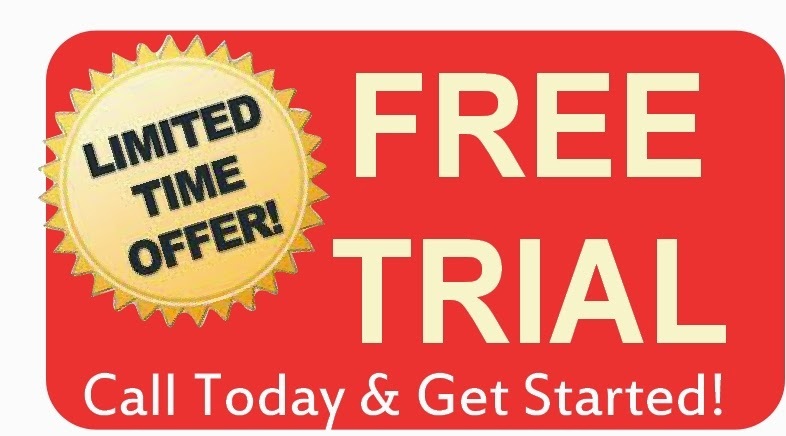 Will a private one-on-one tutor work? Unfortunately, in most cases a private tutor is a temporary fix for a long term problem. Private tutors only help children "survive" tonight's homework, but they don't address underlying issues. Private tutoring is not going to be a meaningful long term solution. Your child deserves to have that long-term impact in their math education! Great Question! The very first thing we do is give your child a skills assessment. It is both a written and oral assessment so that we can get a deep understanding of not only what they know, but how they think! We sit down with them, put them at ease, and give them an assessment that doesn't feel too easy or too hard. Most importantly, we find out HOW THEY LEARN! Then we build their trust by giving them a few ideas and strategies that they can use immediately. We use the results to build a customized learning plan that targets skill gaps and quickly shows them success. In many cases “success” in math is something they have been craving! We get 100's of reviews that are glowing about how struggling students come alive after coming to Mathnasium. Their grades increase and their confidence skyrockets! Take a moment to read what your neighbors have to say about us. Why is confidence in math important? It's not just important, It's critical! Kids need to see that they can do the work so that they can feel confident! This fresh, new confidence will spill over to many other areas of your child's life. At this point you will start to see peace at home! You won't be having to fight with them to do homework. Not only will they have the confidence and the skills to attack it but they'll start bringing home better grades from school. How do we know this? Because we have seen it over and over again with hundreds of our students! 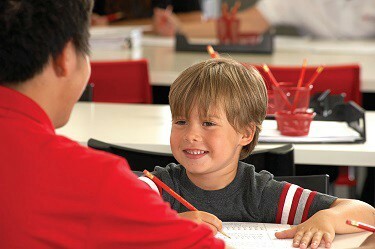 Are you doing one-on-one tutoring? Our instructors quickly come back after a minute or two to make sure they are doing the problems correctly, give them encouragement, and praise them for their efforts! If the student needs more math help we simply teach the lesson again in a different way without judgment or ridicule until they "get it." This enables your child to become a "confident, independent learner." If this is what you want for your child - It's easy to get started! Where are your child’s math skills? Both you and your child can take our interactive quizzes to see how much you remember! What grade are they in? 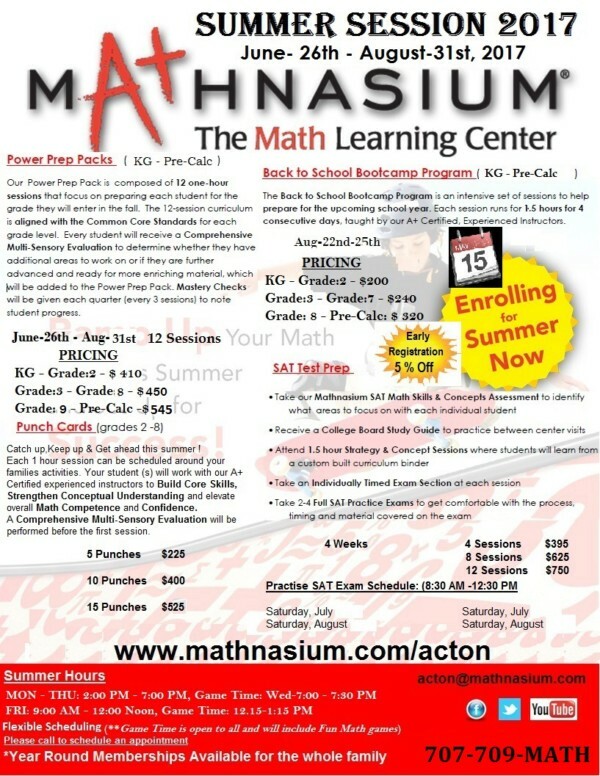 I have been so impressed with the whole program and with the tutor my son has had while at Mathnasium. He is in 2nd grade and requires a private tutor for attention reasons. At first I wondered if getting him a private tutor was a bit over the top for a second grader—and I can honestly say that the results have demonstrated that it has been worth the investment. My daughter Aria(age 7) has been going here for a month now. She loves it and we plan on having her stay at the Burlington location for the long term! I have already seen big improvements ! My son loves math because of Mathnasium. Lauren is amazing and we have been so extremely impressed with the program overall! Thank you for your student centric and evidence based methodology! The updates, the learning model that focuses on positive motivation of the student and protecting morale while simultaneously identifying the weaknesses and vulnerabilities and shoring those up without degrading the student’s self-esteem. Thank you all again. We are grateful! My son’s math skills improved a great deal for the time he went to mathnasium. I would greatly recommend Mathnasium. Katie is loving the Mathnasium visits we have made so far. She asked if she can go more often and I am very happy with this. I have already recommended the center in Burlington to a couple of other moms.